The schedule for Wondercon went public yesterday, so we are finally able to confirm that we are indeed hosting a panel on Sunday at 10:30am. Below you will find the posting from the Wondercon schedule website, but since the panel was presented, we have added one more panelist. 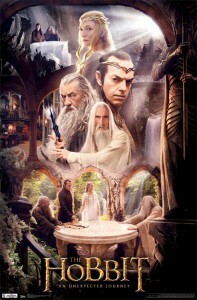 A reminder that the extended edition of The Hobbit: an Unexpected Journey, will be airing tonight across the U.S.. As we reported back in early August, this is the first in a series of live showings of all three extended editions of The Hobbit movies sponsored by Fathom Events and Warner Bros. AUJ will air tonight at 7:30 local time. Many local theaters are carrying it, so if you don’t have tickets, and feel like having a last minute visit with some of your favorite characters such as Bilbo, Gandalf, Thorin, Saruman, etc., check your local theater! Also remember that the EE of The Hobbit: The Desolation of Smaug will air at the same time and same theaters this Wednesday, October 7th, with the big wrap-up occurring a week from tomorrow, Tuesday, October 13th with the first public showing of the EE of The Hobbit: The Battle of the Five Armies, with a special introductory message from Peter Jackson. Those of you lucky enough to see one, or all three, be sure to leave comments below letting us all know how it was! Posted in Director news, Events, Fans, Film Screenings, Hobbit Movie, Meet Ups, New Line Cinema, Peter Jackson, Studios, The Hobbit, The Hobbit: An Unexpected Journey, The Hobbit: The Battle of Five Armies, The Hobbit: The Desolation of Smaug, Uncategorized, Warner Bros. 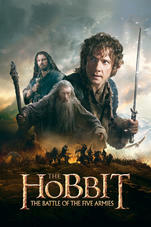 The day has finally come when tickets for the Hobbit trilogy in theaters are on sale! 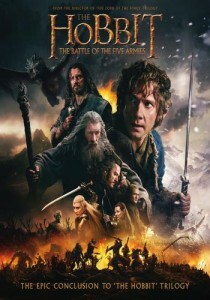 The Hobbit: The Battle of the Five Armies will be shown on Tuesday, October 13, 7:30 local time. The event will include an introduction by Sir Peter Jackson and will be the first time the extended edition of BotFA will be viewed by the public. [Update: Fathom Events has taken down the webpage announcing the above information. However, the dates and times for the EE showings as reported in this article are still correct. Also, although tickets *were* on sale online on Friday (when I purchased mine), the links to buy them are now also unavailable. The new date for online sales is now Tuesday, August 25. Obviously, a cat or two got out of the bag a little early! If you can’t wait until Tuesday, we recommend that you call or visit your local theater directly, as we have had many reports of people getting their tickets just fine that way]. The trilogy showing is being sponsored by Fathom Events and Warner Bros., and TORn has confirmed with Fathom Events that this will be a U.S. event only. For the lucky folks who will have a chance to see it, the next question, of course, is: where can I get tickets? A few weeks ago we published this link to movietickets.com where you can search for theaters in your area that will be showing the trilogy. Enter your zip code and the search radius, and you’ll get a listing of participating theaters. The “Movies” link at the top of the page can be used to search on the other two films. The good news is, when I did a search for my area, a number of theaters were listed as showing BotFA on October 13th, including theaters in the AMC, United Artists and Regal chains. The interesting (and possibly bad news for some) is when I did a search on the other two movies, they were listed as showing at only one AMC theater: The Hobbit: An Unexpected Journey extended edition on Monday, October 5th and The Hobbit: The Desolation of Smaug extended edition on Wednesday, October 7th. However, we urge you to keep checking for more locations either by using the provided link, or by calling you local theater. Update: the Celebration theater chain in Michigan is also showing the trilogy. Same dates as above; $12 a showing which is the same price at the theaters we checked earlier today. Posted in Events, Film Screenings, Hobbit Movie, Peter Jackson, The Hobbit: An Unexpected Journey, The Hobbit: The Battle of Five Armies, The Hobbit: The Desolation of Smaug, Warner Bros.
Join us here at TheOneRing.net in wishing a very happy birthday to everyone’s favorite dragon/dark lord, Benedict Cumberbatch. Okay, he’s also our favorite detective, soldier, spy, crypotgrapher, mad scientist and monster. One thing is for certain, his distinctive voice and vocal skills added depth to both his roles as Smaug the dragon and The Necromance in The Hobbit movies, and were a delight to listen and tremble to. 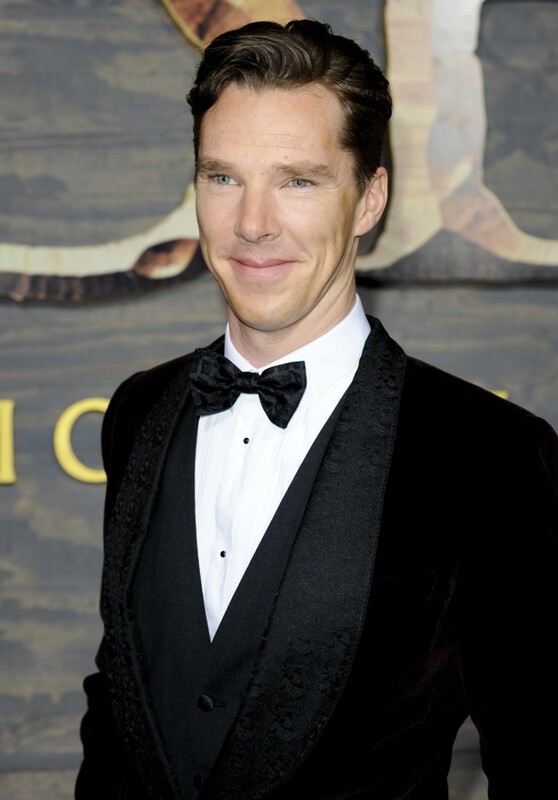 Many happy returns, oh Benedict, the Tremendous! This past week has brought us another of Thorin’s company from our friends at Weta Workshop. This time we get our dear old Oin the Dwarf holding his hearing aid trying to figure out what’s being said in the heat of battle. 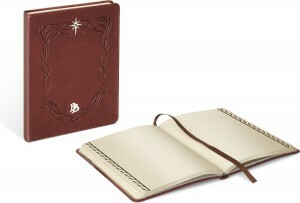 Oin comes in with a price tag of price tag of $249 and an edition size of only 1000 pieces worldwide. 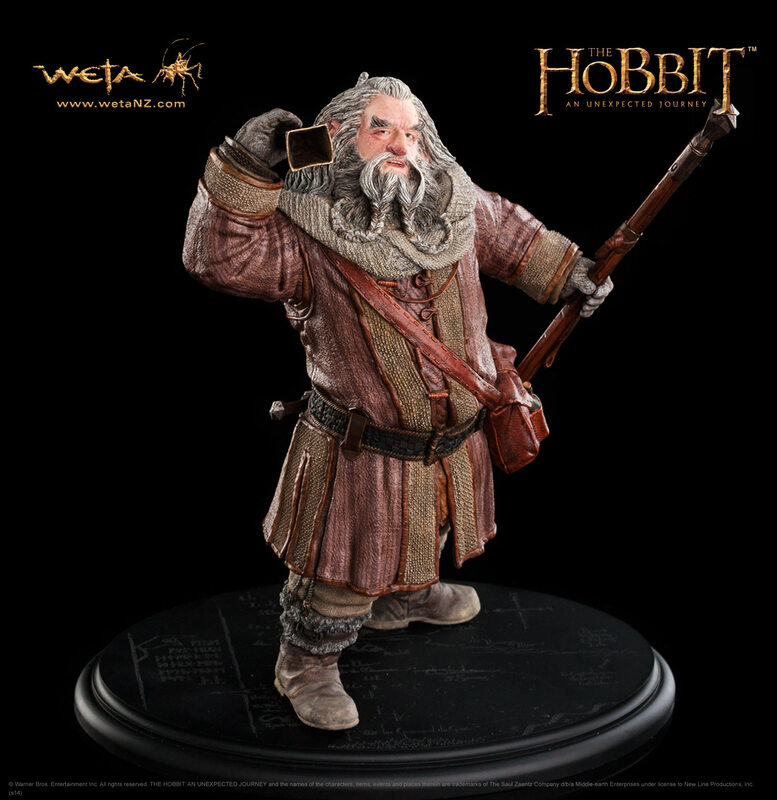 Oin is an in-stock purchase ready to ship once you place your order. Forum member Otaku-sempai has submitted an informative, in-depth analysis of how the time-line of Aragorn’s life was changed and condensed as presented in The Lord of the Rings movies, and alluded to in “The Hobbit: The Battle of the Five Armies.” Enjoy this well-researched article! The words of the Elvenking Thranduil to his son Legolas at the end of The Hobbit: The Battle of the Five Armies concerning the young Dúnadan Ranger called Strider confirms the long-held assertion that Peter Jackson substantially altered the timeline of J.R.R. Tolkien’s The Lord of the Rings in his film adaptation by all but eliminating the seventeen-year gap between Bilbo Baggins’ one hundred eleventh birthday and Frodo’s departure from the Shire. Rather than a young boy being fostered secretly in Rivendell by Lord Elrond, Aragorn son of Arathorn is a young adult abroad in the world. How old is he at this time? How far along is he on his journey of exploration and self-discovery? 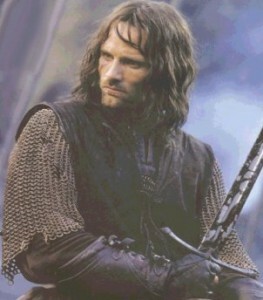 Where does Aragorn go from here? We can answer these questions, but we have to make some assumptions in the process. Can we determine Aragorn’s age? 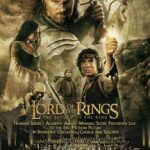 First we must determine the years of the War of the Ring within Jackson’s film trilogy. In the extended edition of “The Hobbit: An Unexpected Journey” we are given the exact date of Bilbo’s eleventy-first birthday: The twenty-second of September in the year three thousand of the Third Age. According to Professor Tolkien, Bilbo chose this date to leave the Shire because it was also the thirty-third birthday and coming-of-age of his nephew (really cousin) and heir Frodo Baggins. 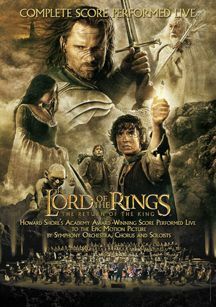 In the commentary track with Jackson, Fran Walsh and Philippa Boyens, the director and writers discuss the shortened time-frame of the film, suggesting that as little as a few months pass before Frodo and Sam leave Bag End for Rivendell rather than the seventeen years indicated by Tolkien. We see in the film that Gandalf the Wizard leaves Bag End to investigate Bilbo’s Ring, traveling to Minas Tirith in Gondor and (presumably) tracking down and questioning the creature Gollum in his investigation before returning to Hobbiton and advising Frodo to go to Rivendell. All this must have taken a significant amount of time, at least one year as Frodo is able to leave home and awaken in the house of Elrond on the date of 24 October (as told to him by Gandalf). We know that not very much more than a year or so passes before Frodo leaves the Shire because of the ages of his companions Sam, Merry and Pippin. In Appendix D of The Lord of the Rings, Tolkien provides the birth-years of Frodo (9268), his cousins Meriadoc Brandybuck (2982) and Peregrin Took (2990), and Samwise Gamgee (2980), showing that the latter three were all either children or adolescents by Hobbit standards at the time of Bilbo’s birthday party (the year 3001 in Tolkien’s legendarium). Peter Jackson ages them up so that all three are now Frodo’s contemporaries in age. This gives us a likely year of 3001 for Frodo’s arrival in Rivendell and the Council of Elrond. If the films roughly follow the same chronology as the books in terms of months and days then the Company of the Ring should leave Rivendell on or near 25 December, 3001. So, when was Aragorn born? In the extended edition of The Lord of the Rings: The Two Towers, Aragorn reveals to Éowyn, niece of King Théoden of Rohan, that he is eighty-seven years old; she realizes that he appears much younger because he must be one of the Dúnedain descended from the Men of Númenor. This should be (again if the dates in the books and films are congruent) a day or so after Aragorn’s birthday (1 March) which, according to Tolkien, is when Aragorn, Legolas and Gimli met Gandalf the White. 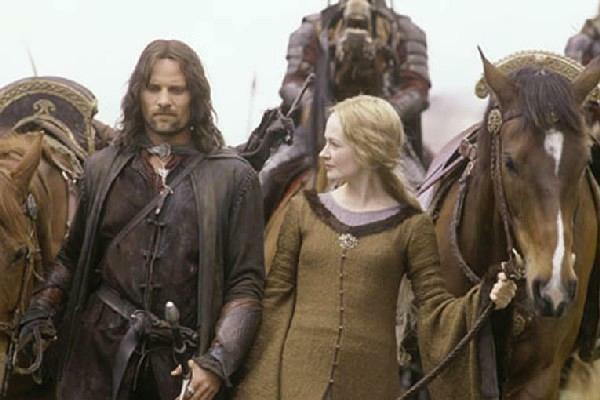 If Aragorn turned eighty-seven years old in 3002, his day of birth would have been 1 March, 2915 (or no earlier than 2914 if the scene between Aragorn and Éowyn took place prior to 1 March). His true name and heritage would have been revealed to him by Elrond in 2935 (or 2934), just before his first encounter with Elrond’s daughter Arwen. At the time of the Quest of Erebor (the year 2940 in the film-continuity) Aragorn’s age would have been twenty-five (or possibly twenty-six). To simplify things, let us assume that the months and days during the War of the Ring (although not the years) match up between the books and the films, and that Aragorn turned twenty-five in the year of Bilbo’s great adventure. So, how does this affect the rest of Aragorn’s story? It changes the timelines of other characters: Arathorn II and Gilraen, Aragorn’s parents; King Thengel of Rohan and his descendants; Éowyn and her brother; Ecthelion II the twenty-fifth Ruling Steward of Gondor; Ecthelion’s son Denethor; and Denethor’s sons Boromir and Faramir; among others. Aragorn acquires his nickname of Strider sometime soon after he goes into the wild, possibly in Bree. At some point before the Battle of Five Armies, he comes to the notice of Thranduil of the Woodland Realm who also learns of his true identity. Either Aragorn does not meet Gandalf until after the Quest of Erebor and the Battle of Five Armies or the Wizard does not wish to risk the heir of Isildur against the dragon Smaug nor against the Necromancer. The great journeys and errantries of Aragorn probably begin in the year 2941, his twenty-sixth year, and likely culminate in 2964, this becoming the year of his victorious raid as Thorongil upon the Corsairs of Umbar and his reunion with Arwen in Lothlórien where the couple plighted their troth upon Cerin Amroth. This would be the period in which Aragorn as Thorongil distinguishes himself in service to both King Thengel of Rohan and Ecthelion II in Gondor. He likely had several other adventures, both alone and with Gandalf the Grey. The years after this, leading up to the Great Years of the War of the Ring, might be when Aragorn journeyed to the distant regions of the East and South, “exploring the hearts of Men, both good and evil,” as Tolkien wrote, “and uncovering the plots and devices of the servants of Sauron.” Gilraen, Aragorn’s mother, would return to her own people during this time and pass away sometime around the year 2990. The Hunt for Gollum must have been much shorter, having quickly come to a successful conclusion, or did not take place at all as it written by Tolkien; there is nothing in the films to indicate that a captured Gollum was ever taken to the Woodland Realm, much less that he escaped from there–only that Gandalf somehow located and interviewed him with or without the help of Aragorn. The period of what Tolkien called Aragorn’s “great journeys and errantries” might be greatly affected by the Peter Jackson film series. In the legendarium it lasted from 2957 to 2980 and Aragorn as Thorongil might have spent most or all of that period in Rohan and Gondor. Saruman the White did not turn against Rohan until after he was given permanent possession of Isengard in 2953. This probably does not change in the film-continuity since Saruman is still considered to be good at the time of the Quest of Erebor when the White Council drives the Necromancer and his servants from Dol Guldur. It is possible that Aragorn began his explorations of the East and or South before the beginning of his service to Rohan. Alternately, he might have remained in the regions of Eriador and Rhovanion both as a companion of Gandalf and on his own during that time. 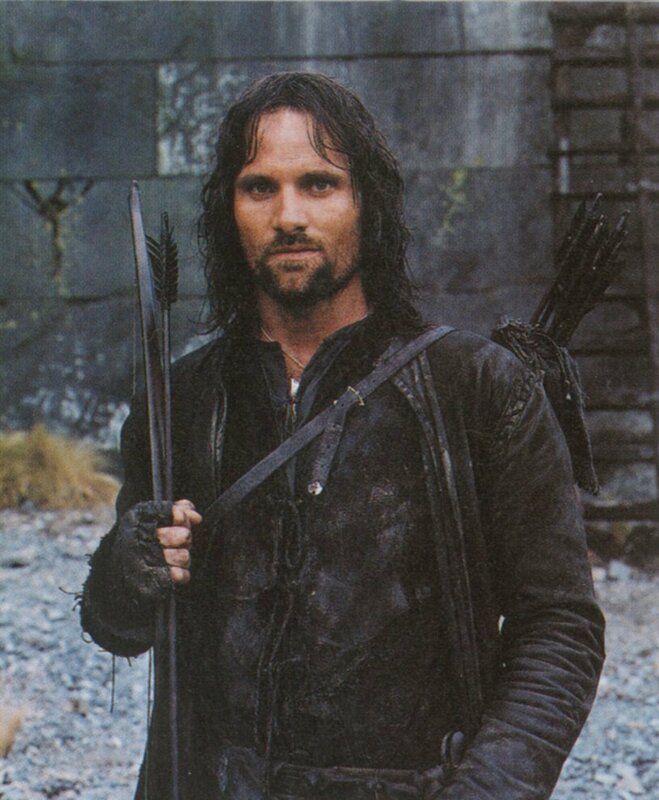 In film-terms, the journeys and errantries of Aragorn could have begun at any time between 2941 and 2957 and might have ended as early as 2964 or as late as 2980. However, I am inclined towards the earlier dates. Aragorn most likely came to Rohan after 2953 when Orcs and Dunlendings began harassing the Rohirrim and making trouble along the borders of Fangorn. Saruman was then pretending to still be a friend to Rohan even while secretly supporting its enemies. Tolkien wrote little of this period except to say that, as Thorongil, Aragorn rode with the host of the Rohirrim in defense of their lands. After taking his leave of King Thengel, Aragorn (still as Thorongil) traveled to Gondor and gave his services to Ectheilion II, the twenty-fifth Ruling Steward. He accrued great renown in Gondor and became seen as a great leader of men. He also became Ecthelion’s most loved and trusted advisor, supporting the counsels of Gandalf and warning the Steward against accepting the aid of Saruman. In this a foresight might have been upon him as the treachery of Saruman was as yet unknown. Denethor II, the son of Ecthelion, considered Thorongil to be a rival for his father’s attention and might have guessed at his true identity, fearing that Gandalf was plotting with the Dúnadan to supplant him. In Aragorn’s last year of service to Ecthelion he led a successful raid on the Corsairs of Umbar, destroying a large part of their fleet. Then, setting his eyes on the Mountains of Shadow, he took leave of the Steward of Gondor and traveled east. 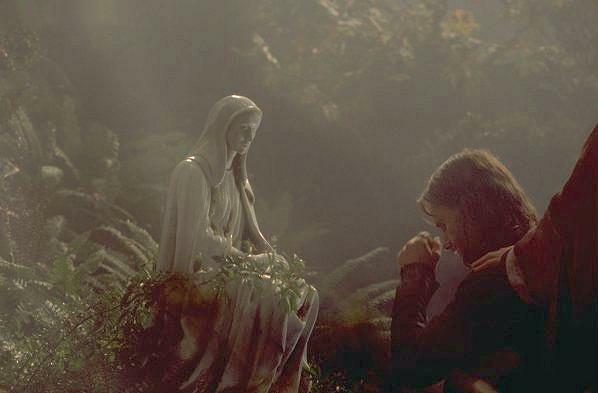 After spending some weeks or months within the borders of Mordor, Arargorn was allowed to enter Lothlórien and was reunited with Arwen. The events of the War of the Ring are known and accounted for in the films, with the new elements of Aragorn’s self-doubt, and initial reluctance to seek after the Kingship of Gondor. 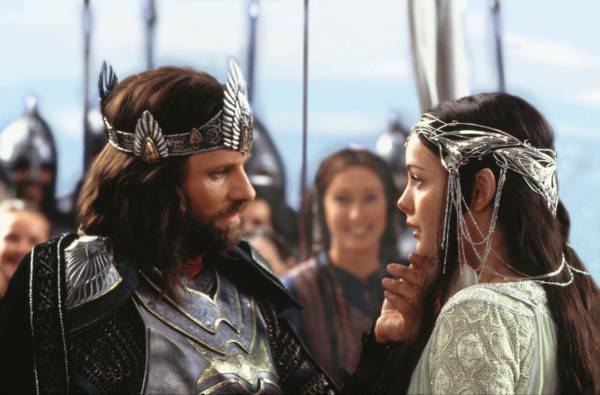 After the Fall of Sauron, events presumably proceeded much as they did in Tolkien’s legendarium with Aragorn having been crowned as King Elessar of the Reunited Kingdom, wedding Arwen who has given up her immortality for her love, siring with her several children including their son Eldarion and at least two daughters, and ruling over Gondor and Arnor until his passing in the one hundred twentieth year of the Fourth Age. Note: if you have an article you’d like to submit, please send it to spymaster@theonering.net. We’re delighted to bring you an excerpt from Cinefex‘s forthcoming behind-the-scenes account of The Hobbit: The Battle of the Five Armies. 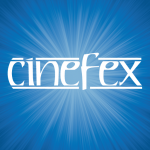 Joe Fordham’s 26-page feature in Cinefex 141 includes in-depth interviews with the film’s effects artists — and Peter Jackson — and is accompanied by 28 behind-the-scenes photos and frame clips from the movie. Many of them are exclusive to Cinefex. Little birds tell me that the theatrical edition of The Hobbit: The Battle of the Five Armies is available now for digital download on Apple iTunes. Makes sense: March 3 was the advertised release date for the digital version. Ringer TheHutt writes to tell of us a couple of interesting theatrical edition box set options of The Hobbit for fans that include all three films plus a bonus — a replica of Bilbo’s journal. Do you remember the first shot of every Middle-earth film?